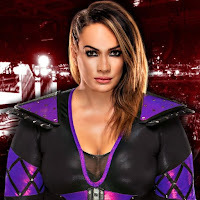 On Twitter, Nia Jax indicated an injury and said that she would be out of action for a while. Jax posted another tweet this afternoon and confirmed that she will be undergoing double knee surgery to repair the injuries. She noted that she has been working through pain for the last year. "Some of you may or may not know, but I will be out of action for a little while," Jax wrote, "Unfortunately, I have been pushing through some pain over the last year due to injuries in my knees and I will be undergoing surgery to repair both of my ACLs. I'm grateful to everyone who has supported me! Thank you!" Jax hasn't wrestled since WrestleMania 35 on Sunday where she worked the Fatal 4 Way with partner Tamina Snuka, Natalya and WWE Hall of Famer Beth Phoenix, new WWE Women's Tag Team Champions The IIconics and former champions Sasha Banks and Bayley. There's still no word yet on how long Jax will be out of action, but it could be for up to 9 months. WWE has not officially announced the injury. Stay tuned for updates on her status.